George William Patz was born on October 10, 1931, in Buffalo, NY. 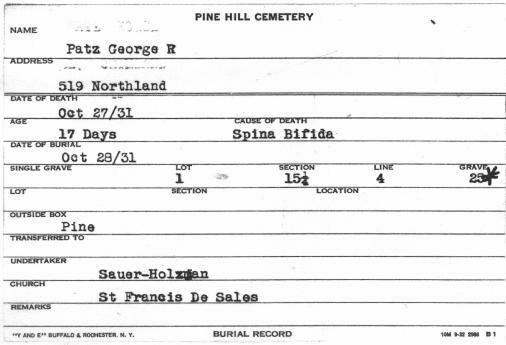 George died of spina bifida on October 27, 1931, at the age of 17 days. At the time of his birth and death, the Patz family resided at 519 Northland Avenue in Buffalo. 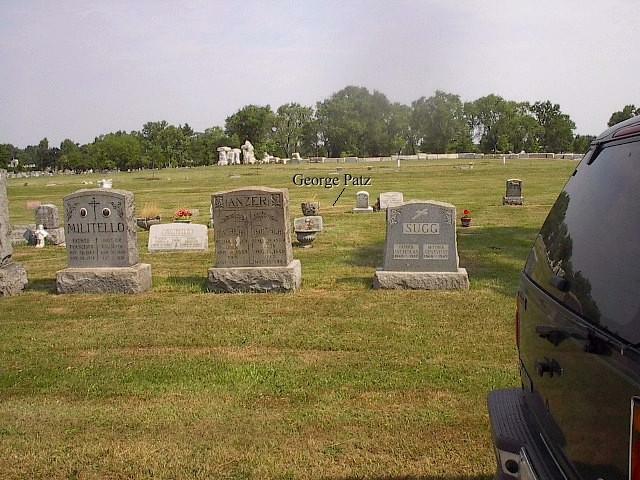 George is interred in Lot 1, Sec. 15¼, United German & French Cemetery (Pine Hill), Cheektowaga, NY. Bernard George Patz: Born 1904; died 1984. Barbara Lorissa (née Lander) Patz: Born 1906; died 1985. General location of gravesite of George William Patz, Lot 1, Sec. 15¼, United German & French Cemetery (Pine Hill), Cheektowaga, NY. A map to help locate his gravesite is available here. 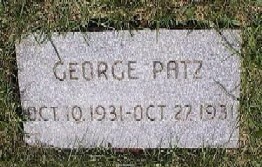 Grave of George William Patz, Lot 1, Sec. 15¼, United German & French Cemetery (Pine Hill), Cheektowaga, NY. 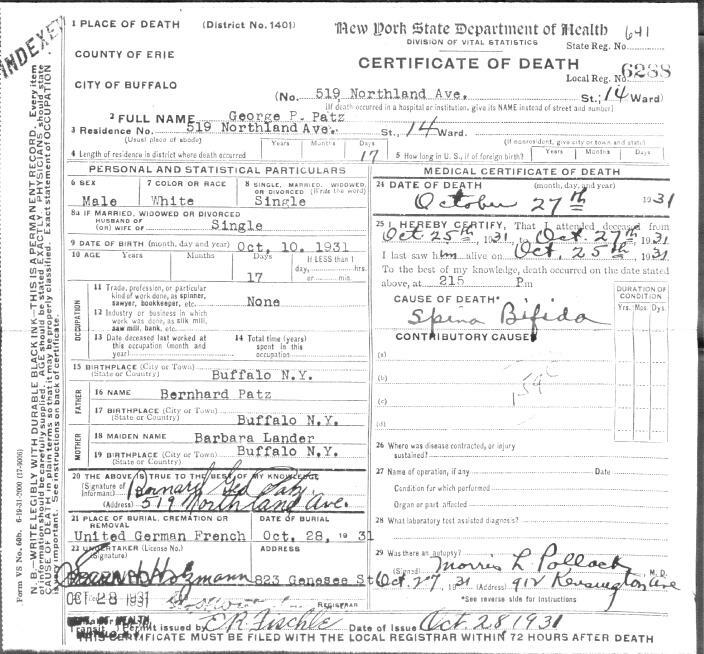 Death Certificate: George William Patz, born October 10, 1931, died October 27, 1931, of spina bifida. Interment Record: George William Patz, born October 10, 1931, died October 27, 1931. Interred on October 28, 1931, in Lot 1, Sec. 15¼, United German & French Cemetery (Pine Hill), Cheektowaga, NY. 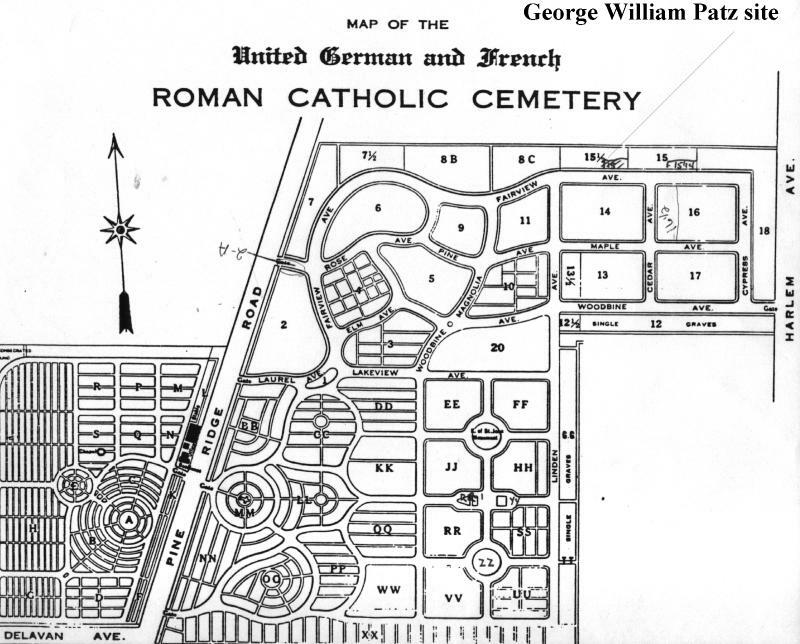 Cemetery Map: Location of gravesite for George William Patz, Lot 1, Sec. 15¼, United German & French Cemetery (Pine Hill), Cheektowaga, NY. Mother's Notes: Handwritten notes of Lorissa (née Lander) Patz on the birth and death of her son, George William Patz. 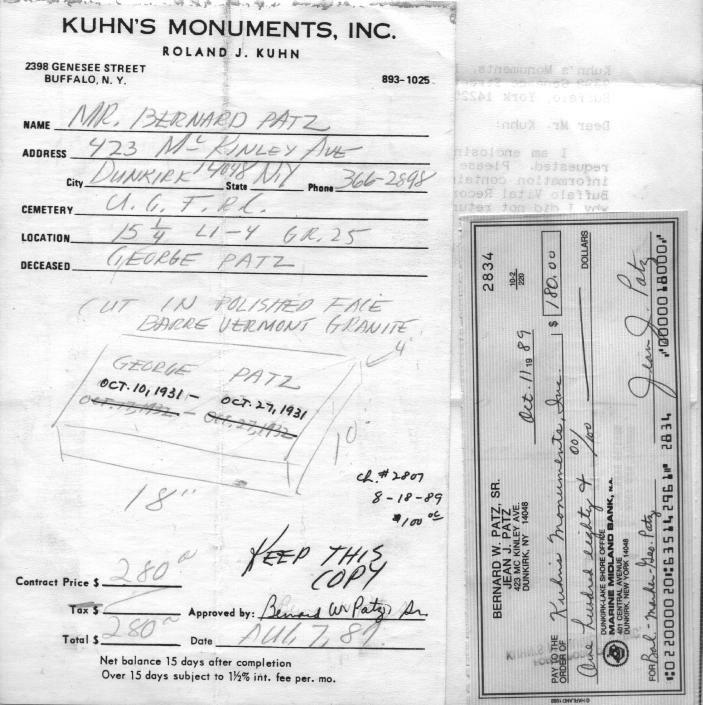 Monument Order: Order for gravestone of George William Patz by his older brother Bernard William Patz on August 7, 1989. Until this time, George William Patz's grave had been unmarked.